The Miranda 3Gbps/HD/SD PicoLink Optical Receiver & Transmitter 1310 nm Repeater is a component of serial digital video fiber transmitter and receiver featuring hot-swappable SFP modules, and is suitable for receiving 3Gbps/HD/SD signals over single-mode fiber up to 1245’ (379.5 m). It supports data transfer rates between 19.4 Mbps to 2.97 Gbps, and can handle HD / SD serial video as well as compressed bit-streams (DVB-ASI). The unit relocks serial digital video from 270 Mbps to 3Gbps. 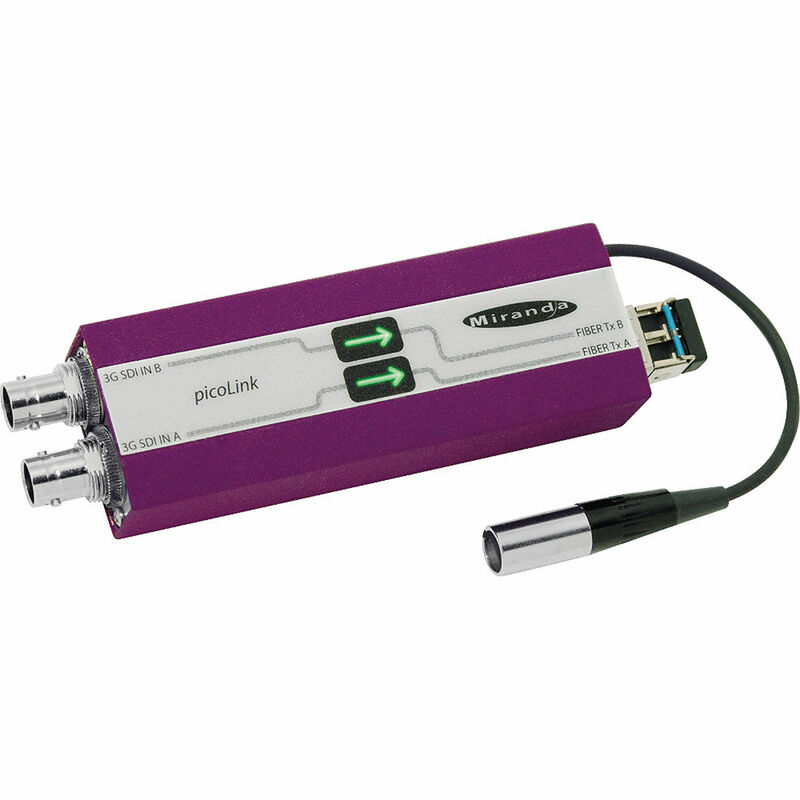 PicoLink tray enables mounting up to 20 optical connections.